Bruce Peel Special Collections Has Reopened! The Peel library is once again open, after the completions of a series of renovations to expand the capacity, and improve the security, of our special collections storage space. Students, faculty, and the general public can once again access materials from Special Collections during normal hours. Please submit an online retrieval request form at least 24 hours before your visit to ensure that library materials have been retrieved from storage and are available for your use. Peel library continues to welcome class visits. While the schedule for the fall term is now almost fully booked, we encourage you to contact us to book a future class visit. In celebration of the reopening, Peel is hosting two exhibitions. 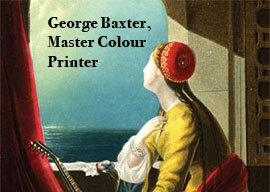 Our current in-house exhibition features gorgeous colour prints made by master printer George Baxter and highlights the impressive career of this Victorian period innovator. Our new online exhibition highlights the university’s Honorary Degree recipients over the past fifteen years and the special rare books which have been purchased to honour them. It honours the accomplishments of such notable figures as k.d. lang, Wayne Gretzky, His Highness the Aga Khan, and Clara Hughes. Though still a young country, Canada has been the backdrop for many major medical milestones including the discovery of insulin, the birth of universal health care and the development of a viable procedure for pancreatic islet cell transplantation. Beyond these frequently cited narratives is a rich medical history as distinctive and unique as the people and landscapes of this great nation. From June 15 until July 22, 2016 the John W. Scott Health Sciences Library is proud to present Vestiges of Canadian Medical History. This exhibit features a number of unique volumes from the Rawlinson Rare Book Collection, relating to the history of medicine in Canada, with a particular emphasis on medicine in Western Canada, as well as medical artifacts from the late 19th and early 20th century (courtesy of the University’s Office of Undergraduate Medical Education). This exhibit is presented in conjunction with the Three Societies Meeting. The John W. Scott Health Sciences Library is located on the second floor of the the Walter C. MacKenzie Centre (enter the University of Alberta Hospital via the 114 Street entrance across from the Health Sciences/ Jubilee LRT Station, or using the the 112 Street entrance; ask for directions at the Information Desk). The University of Alberta Libraries was proud to host the 3rd annual True North Science Bootcamp May 25-27th. Attendees got the opportunity to attend sessions on wildlife conservation, the Phoenix Mars Mission, hunting dinosaurs in Alberta, and thermodynamics. Here are some conference highlights!